Check out our list of 10 all-time great jazz quartets. We’re not ranking them or saying that these are the absolute best, but we are saying that they’re all crucial to the history of jazz. 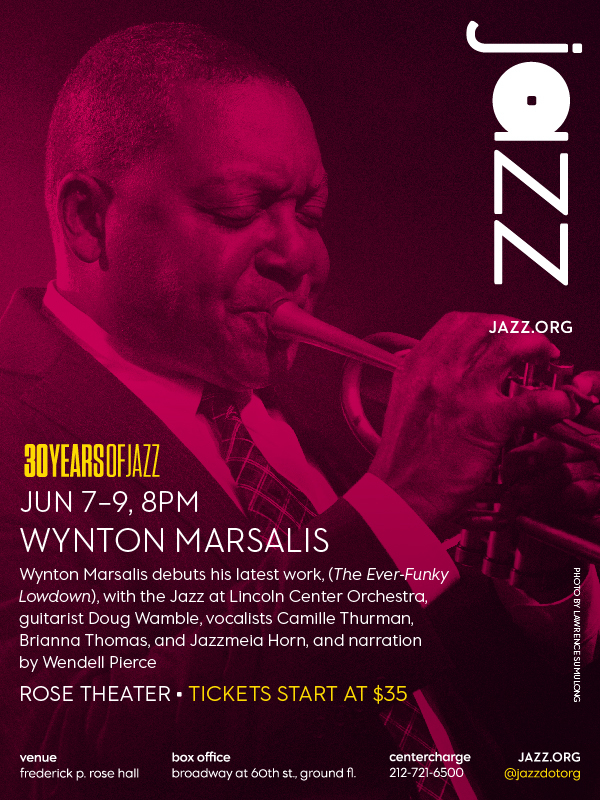 WYNTON MARSALIS no Rose Theater da Columbia no Trinta anos de Jazz, à partir de $35, junho 7-9, 8 PM. Chris Standring o excepcional guitarrista britânico redicado na Califórnia volta com mais uma de suas produções. Veja o e-mail para "sidnei". I just got back from London after a week long family get together, and I am jumping back into the swing of things with renewed vigour! Why am I so buzzed you might ask? Well, I have been working on a new studio album all year, which will be released early 2018 and it's all been going rather swimmingly. "Didn't you just release a live record?" I hear you say. Well, yes, you'd be right, I did as a matter of fact, but this new album will of course feature all new material. I love the way it's all shaping up. It's funkier than ever before, but it's jazzier too. Somehow I seem to have refined my sound evenfurther on this one. And I have carefully chosen a few special guests accordingly. Tenor saxophonist Pete Christlieb plays on one track, one of my all time favourite sax players. If you are a Steely Dan fan, Pete was the featur ed player on two of their big hits, Deacon Blues and FM. I love his traditional jazz soulful tone. My old partner in crime, Rodney Lee, recorded on one track, as did Mitchel Forman, an incredible piano player. Jimmy Haslip, founder of the group The Yellowjackets also guests on one song. Chris Coleman, one of the funkiest drummers today, played on six tracks. He killed it. Hans Zermulen, a world class keyboard player also joins me on three tracks. David Karasony plays on two tracks, including a beautiful version of Brian Wilson's God Only Knows, which also features Roberto Vally on acoustic bass. Andre Berry, one of my fave bass players plays on most of the album, bringing his swinging, funky, buttery bass sound to the mix. Finally, I am talking to a world renowned artist about being my special guest, who I cannot mention just yet, but cross your fingers so we can make that happen. So that's what I I have been doing and over the next few weeks will be finishing it all up, and getting everything in the can ready for next year. I have a big show planned December 6th. It's my annual extravaganza along with my good friend and exceptionally talented vocalist Kathrin Shorr. We have two special legendary guests, Stephen Bishop and Julia Fordham, who sang with us last year. It was so much fun we decided to ask them back. 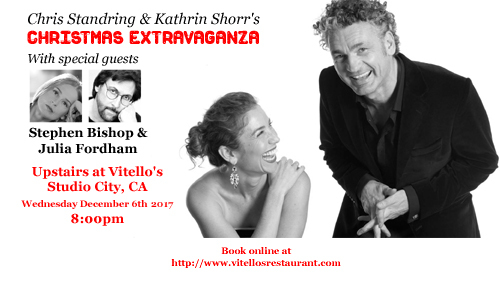 The show is upstairs at Vitello's in Studio City, California. Tickets are now on sale here. This show always sells out so jump in to lock in a table. Hope to see you! For the esteemed Brazilian composer/arranger/pianist Antonio Adolfo, his life’s work has been to bring to the world the diverse richness of the Brazilian musical traditions – with a particular focus on its parallel developments with the profound legacy of jazz. But of equal importance is making great music, to which his many highly acclaimed and Latin Grammy-nominated albums clearly testify. On this latest delightful excursion, the incomparable Wayne Shorter provides the essence of his focus withHYBRIDO, subtitled From Rio to Wayne Shorter. ANTONIO ADOLFO arrangements and piano and electri piano; Lula Galvão (electric guitar), Jorge Helrder (double bass), Rafael Barata (drums and percussion), André Siqueira (percussion), Jessé Sadoc (trumpet), Marcelo Martins (tenor, flute and soprano saxes) Serginho (vocals and trombone), Zé Renato (voacals), Cláudio Spiewak (acoustic guitar). 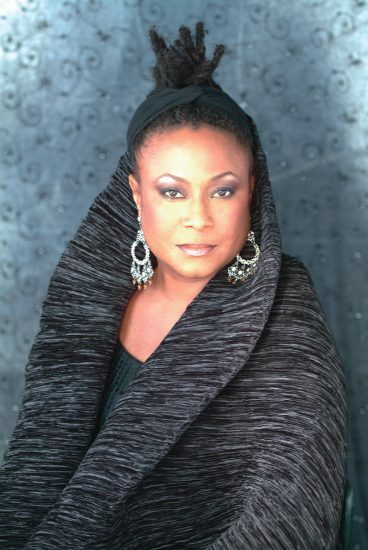 Geri Allen, an intrepid pianist-composer and dedicated educator whose discography includes nearly 20 albums as a leader/soloist and a wide variety of collaborations, died June 27 in Philadelphia. The cause was cancer, according to various reports. Allen had turned 60 two weeks ago. Allen was still active as a performer as recently as this spring, when she toured Europe with fellow pianist McCoy Tyner. Her most recent recording as a leader was 2013’s Grand River Crossings: Motown & Motor City Inspirations (Motéma). Last year, Motéma released Perfection by the Murray, Allen and Carrington Power Trio. Geri Antoinette Allen was born on June 12, 1957, in Pontiac, Mich., and raised in the Detroit area, where she began playing piano at 7. She took to jazz early and studied under trumpeter and Jazz Development Workshop director Marcus Belgrave. In 1979 she graduated from Washington, D.C.’s Howard University with a bachelor’s in jazz studies. Allen moved to New York in 1982, then relocated again, earning an M.A. in ethnomusicology from the University of Pittsburgh, after which she began her professional career in earnest, touring with Mary Wilson of Motown’s Supremes. Throughout the ’80s and early ’90s, Allen followed an eclectic career trajectory, recording her own projects and collaborating with various artists. Her debut leader album, The Printmakers, was a trio set with bassist Anthony Cox and drummer Andrew Cyrille, recorded in Germany in 1984; she followed it the year after with a solo piano release, Home Grown. Her output during that period also included three trio releases with bassist Charlie Haden and drummer Paul Motian, and sidewoman gigs on recordings by Oliver Lake, Dewey Redman, Steve Coleman and Greg Osby—she became involved with the latter two in the M-Base Collective—and others. Her discography includes albums recorded as a leader for Blue Note, Verve, Telarc, Motéma (beginning with the 2010 solo release Flying Toward the Sound) and other labels. In recent years, Allen was a participant in Terri Lyne Carrington’s Grammy-winning The Mosaic Project, released in 2011, and collaborated further in trios featuring the drummer, one with bassist Esperanza Spalding and another with saxophonist David Murray. She also contributed to Dianne Reeves’ Beautiful Life album, released in 2014. Allen also received numerous commissions, from Jazz at Lincoln Center, Stanford University, the Walt Whitman Arts Center and other institutions. In addition to her prolific work in the studio and onstage, Allen—who was awarded a Guggenheim Fellowship in 2008 in the field of music composition—devoted many years to serving as an educator: first, for 10 years, at the University of Michigan and then as the Director of Jazz Studies for her alma mater, the University of Pittsburgh, in 2013. In 2014, Allen received an Honorary Doctorate of Music from Berklee College of Music. She was also the musical director of the Mary Lou Williams Collective and, in 2016, became the artistic director of Detroit’s Carr Center, described as a home for African-American cultural arts. She also received numerous honors, among them Spellman College’s African American Classical Music Award and Howard University’s Distinguished Alumni Award. The Detroit Metro Jazz Festival honored her with a Geri Allen Day, and Harvard University hosted Geri Allen Week. She received an NAACP Image Award nomination in 2011 and also performed in MLK: A Monumental Life, for the unveiling of a Dr. Martin Luther King monument in Washington, D.C.
Allen is survived by her father, brother and three children. For more on Allen’s life and work, read this JT profile by Shaun Brady and this cover-story interview by Renee Rosnes. 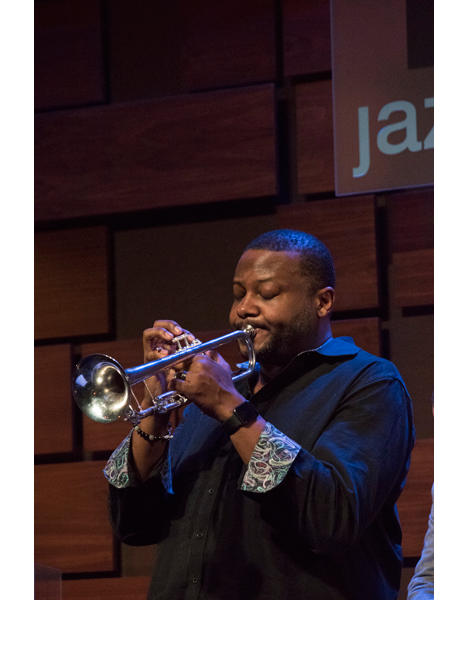 Sean Jones embraces raw spark generated by years of exhilarating performances with Live from Jazz at the Bistro, the trumpeter's eighth album for Mack Avenue Records, available May 26. Recorded live—experience the best of Sean’s six-night run at St. Louis’ Jazz at the Bistro. 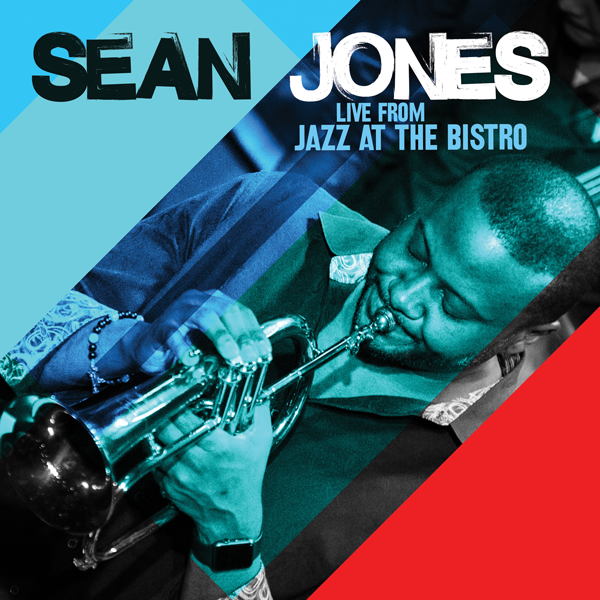 Sean Jones believes passionately in championing the creative arc of artists who are committed to their life journey.Live from Jazz at the Bistro is arguably the most dynamic, playful and loose-limbed excursion of his career. Jones brings to the sessions a stalwart poise, the fire of ecstasy and a whimsy in motion. 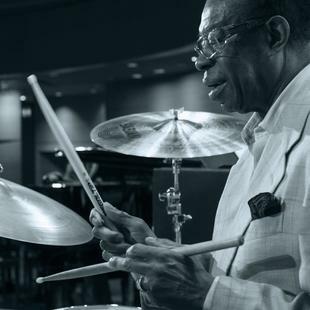 Legendary drummer Louis Hayes makes his Blue Note debut with the May 26 release of Serenade for Horace, a loving tribute to his mentor and friend, the great pianist, composer and bandleader Horace Silver. Hayes was 19 years old when he moved to NYC in 1956 and joined Silver's Quintet, putting his stamp on timeless Blue Note recordings like "Señor Blues," "Sister Sadie," and "Blowin' the Blues Away." The album's lead track "Song for My Father" featuring vocalist Gregory Porter is available now to download or stream. Terence Blanchard has composed a sublime jazz score for The Comedian, the new movie starring Robert De Niro as Jackie Burke, a jazz-loving comic icon who collects Art Blakey records and does a spot-on impression of legendary Birdland emcee Pee Wee Marquette. The music features the acclaimed trumpeter fronting a top notch sextet with pianist Kenny Baron, tenor saxophonist Ravi Coltrane, alto saxophonist Khari Allen Lee, bassist David Pulphus, and drummer Carl Allen. On Tony Allen's new EP, A Tribute to Art Blakey, the legendary Nigerian drummer and Afrobeat pioneer best known for his work with Fela Kuti pays tribute to his longstanding idol, the American jazz drummer and Blue Note legend Art Blakey. The 4-track EP features a fiery 7-piece band interpreting Jazz Messengers classics through an Afrobeat prism. The lead track "Moanin'" is available now to stream or download ahead of the EP's May 19 release. In honor of the late Ella Fitzgerald's 100th birthday today, Verve Records fondly remembers the expressive vocalist who dominated the musical scene with her interpretations of the works of legendary composers including Duke Ellington, Cole Porter and the Gershwins. We are proud to present a series of her recordings throughout the year for #Ella100. Em seu centenário homenageamos ELLA FITZGERALD com a apresentação de 'Round Midnight com Oscar Peterson ao piano.